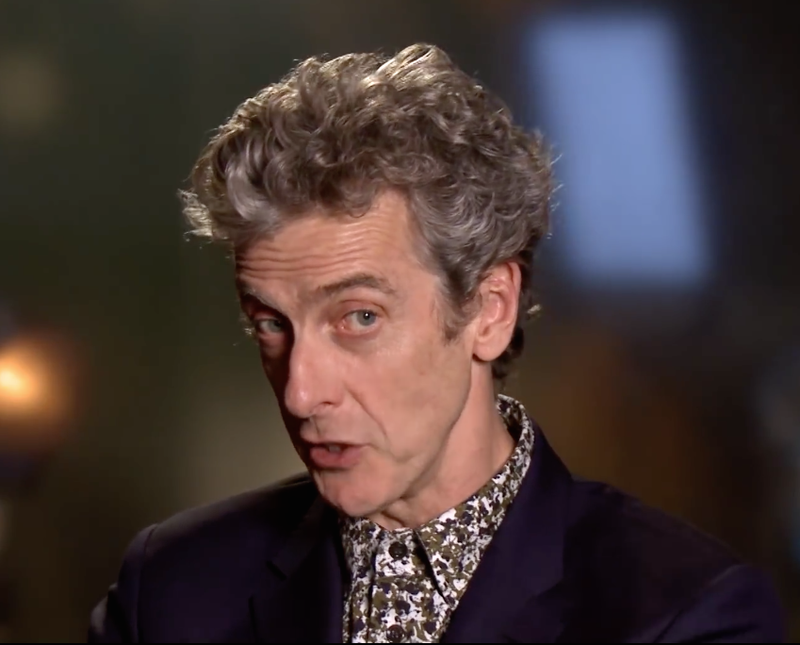 The BBC sat down with Peter Capaldi (The Doctor), and gave them an insight in to what to expect from Doctor Who Series 9 - check it out below. 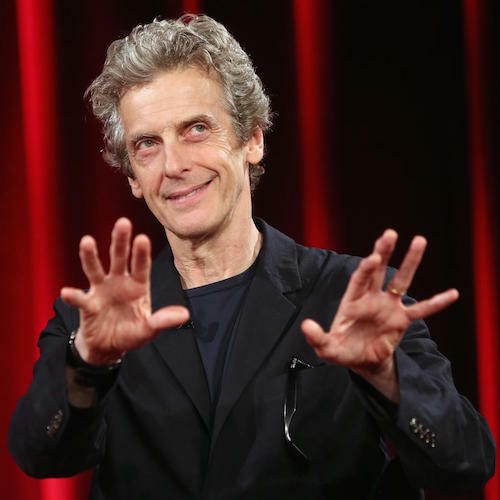 Visit the Doctor Who Series 9 Episode Guide HERE. Coming back to film your second series, how has the atmosphere been on set? It’s been lovely to be back and everything’s been very positive. I think everyone’s been happy to be on set in Cardiff and the scripts are very good and strong. Everyone’s become enthused with the spirit of adventure that runs through the scripts, it’s been exciting! How are you feeling about this new series? What can viewers expect? I think they’ll find a lot of thrills, lot of mystery, a reckless Doctor in pursuit of adventure. It’s very thrill aired, hopefully full of spectacle and adventure - it’s not a sitting back, domesticated, reflective series, it’s the Doctor and Clara roaring through time and space in search of thrills. So I think it’s great, it should be a fun watch for audiences at home. Can you tell us about The Magician's Apprentice? The opening episode of the new series is fabulous - the story is going to take us across the Universe in to all types of dark, terrifying and funny places. It’s a particular epic one to start, with lots of old favourites, Missy and the Daleks are returning and particularly for those who are nostalgic with the Daleks of the 60s, there are some special surprises in store. There’s been a few changed in the TARDIS. As we came to know my Doctor a little bit more, we needed to reflect that more in the environment that he lived in. I don’t think my Doctor fits in with the whole idea of Edwardian time traveller, there’s a kind of resurge of that in the look of the TARDIS as it was, so I wanted to make it a little sharper. There are a few more elegant, sixties, classic design things knocking around as opposed to Edwardian or Victorian. How has the dynamic changed between the Doctor and Clara since Series 8? I think the Doctor and Clara are really having a good time. They’ve had some conflicts and challenges, but generally if you can weather the storms, you often find that your relationship is much stronger. That’s certainly the case with the Doctor and Clara. What is his relationship like with Missy in the opening episodes? I wouldn’t say their relationship has changed since he saw her last. Missy’s role is slightly different, but you’ll have to wait and see! With a wealth of different sets and filming days on locations, would you say they enhance the look and feel of the episodes? I think the design of the show is always really, really important and it gives a great cinematic feel to the show. It expands it, makes it not simply domestic, but quite cosmic and big. It’s good to have spectacular sets and locations, because it adds more physical texture to the show and opens it up more, it’s all pretty cinematic. Have you got any favourite moments from playing the Doctor? For me, obviously to get to play the Doctor, the whole things is a delight. Some of my favourite moments are when we reveal something of the Doctor’s more alien nature. For instance, in Kill the Moon when he’s able to look in to time and read it, and communicate that, I think that was fun to do. What was it like to film with Daleks from so many eras, any favourites? I don’t have a particular favourite, but I do like to see the little old ones, they’re very sweet as they’re quite small. But actually they’re still strangely brutal, nasty little pieces of work, but are rather handsome and classy. They were great fun and do what is expected of them, you get a whole group of them together in the opening episode. I think we had about 20 of them in the studio so that was very exciting. Once you had them all moving, it was very funny watching Hettie [Macdonald] directing them, because she was directing them like actors - ‘you’re getting upset at this moment, have a look at your friends’ - and they’d look at their friends and then she’d say - ‘you need to look nervous now’ - and they’d actually be able to convey nervousness - it was actually very, very clever. It was like being in a Dalek theme park, with a free ticket, so that was fun.